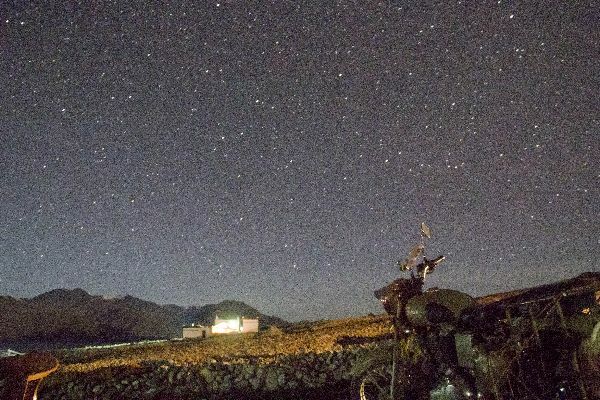 Day 1. we arrived at Chandigarh at 4:30 in the morning, after freshening up and roaming about here and there started towards royal India bikes owners farm house at 5:30. he had kept two similar RE Desert storms ready for us will back carriers In both the bikes. We stopped for lunch at Pathankot at around 3 pm. After a half hour break we again proceeded towards Patni top our resting spot for the day. We took the Udhampur bypass, through mansar lake. The road condition in this route is horrible. It took us about and hour to cover 25-30 kms. Finally after a long days drive we arrived at Patnitop at around 7:30pm. We took rooms at JKTDC Alpine hotel. The condition of the rooms is ok-ish but very badly maintained. Day 2. After a light breakfast we set off for Srinagar. The road conditions were fairly good with few bad patches along the way. We filled the tanks at a petrol pump Ramban. The rest of the journey till Srinagar was uneventful and we reached there at around 3:30pm. After having lunch at the hotel (Hotel Dawn, boulevard road), we had a small nap. At around 6 we went out for a Shikara ride. I had already visited Srinagar twice and this was my third time. So we decided to see the other side of Dal lake where all the local live and few tourists visit. The Sikara owner’s name was Muzaffar, a young lad, very soft and well spoken. He took us to the other side of the lake, we were having a very good time when suddenly the skies broke and it started pouring like anything. [cry] We tried everything inside the shikara but could save ourselves from getting wet. Seeing our condition Muzaffar offered us shelter at his house which us very nearby and then when the rain subsided we continued and at around 9pm our ride ended. Day 2 185 kms. Day 5. We did not wake up early and slept till 9am. We had this as a rest day, day for permits and getting the bikes repaired. 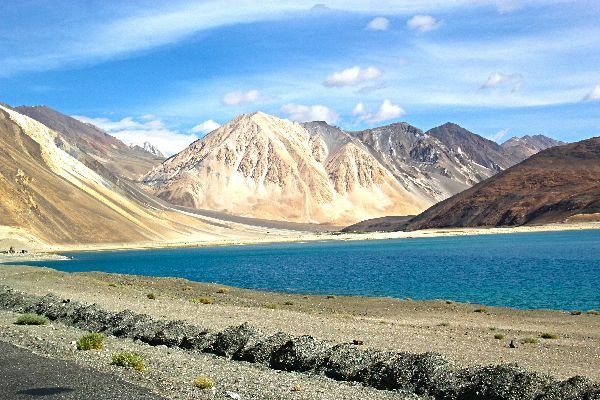 After asking the locals we came to know that Mohan Sharma is only good mechanic in Leh. So went out looking for him and took the bike to two more repairing shops where it could not be repaired. Finally Sharma ji found out that the fuel injector was jammed with debris, took it out cleaned it and and bingo the bike and roared. In the mean time I went to the DC office for the permits to Chusul and Hanle. I got it very easily. In the evening we went out for some local sightseeing of leh and went to Thicksey monastery. Day 8: the return journey was uneventful till karu, when the bike again started having the same problem:mad:[Blush][cry]. After lunch at Karu , we rushed towards leh with my handicapped bike, only to find mohan sharma’s shop closed for the day:p. We had nothing to do but to wait for the next day. Day 10 : the final push to manali. We started at 8 in the morning. The road conditions were horrible. The bike again started giving trouble. But I was ready. As it started misfiring I changed the battery and was good again. We reached rotang at 3pm after a small break we started again. But after a few kilometres we found a huge traffic jam. Two cranes were pulling up a truck that had fallen down the hill. We were delayed by more than two hours. And again even with the new battery the bike started troubling. I was really frustrated, and pulled the accelerator as hard as I could while clutching twice or thrice and to my surprise the bike started to work normally ! we reached manali at around 6:30pm. Day 11. Final leg. We had only 300kms to go this day and thought we will have plain roads till Chandigarh, so we started really late at 11:30am. But we were very wrong, the road conditions were the worst, the traffic was even bad, some parts there were no roads at all, 200kms were hilly roads. When we realized our mistake it was very late. This was the toughest day of our whole trip. We drove 10 hours. Finally we reached Chandigarh at 11pm, the bikes somehow managed to run this day. The headlights were so weak , we were driving totally on assumption. Anyways by god’s grace and luck we reached Chandigarh safely. Though our trip was marred with bike problems, the experience of the trip was amazing. 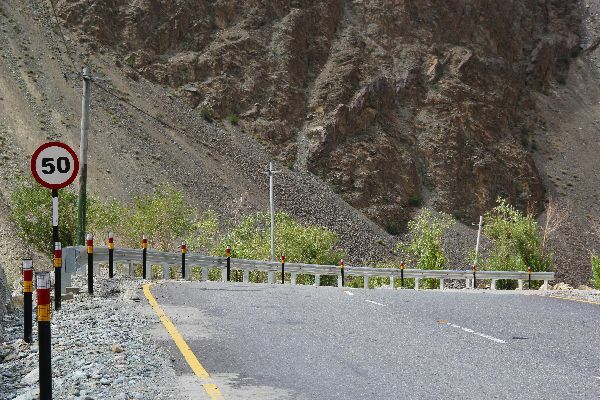 The feeling of riding through the high altitudes mountains, clear skies and mesmerizing views was a life time experience …. Just amazing….. The Ladakh Diaries.. Journey of an Amateur Biker. Doubtless some lunatic is planning a trip to Leh by elephant as we speak. 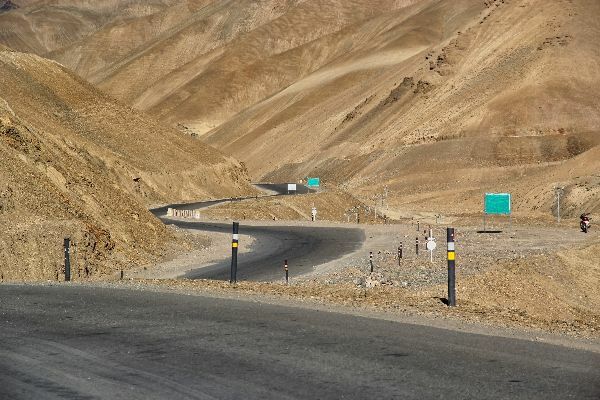 I have a plan to hire a bike on rent there..
Well suggest me things to keep in mind before leaving leh to other places. you are a best person to explain it because you actually have gone through it. You'd Never See Me Again..
@aMi .... yes it was kind of sad, but exciting as well... if we had had a smooth trip, we never would have had the experiences that made the trip all the more memorable. well one thing to keep in mind if you are traveling alone is to have a post paid sim card. other than this you need some good sunscreen and good quality clothes to protect you from the chilly weather when you are at the mountain top. you can let me know the specifics if you want some other information.